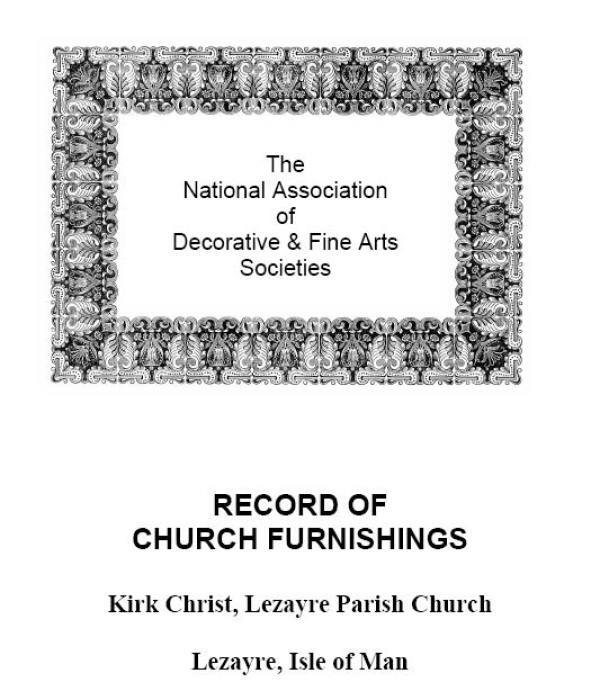 The Isle of Man Decorative and Fine Arts Society were awarded a grant by Culture Vannin for the printing and binding costs of a report on Lezayre church. including: memorials; stonework; metalwork; woodwork; textiles; paintings; its library; windows and other sundry items, together with notes on their manufacturer, donor and any relevant historical details pertaining to the article itself. Though the records are not a social history or an architectural survey they doe capture at one point in time a full description of the interior and its fittings for posterity and the NADFAS records are becoming an increasingly important source of material for academic research.